Earth celebrates origins and the passages of time. Represented only by a symbol, it echoes warmth, iridescent light and power. The collection embodies a nomadic character with a blend of earthy green, burnished red and liquid graphite and is our first to be personified only by an emblem. 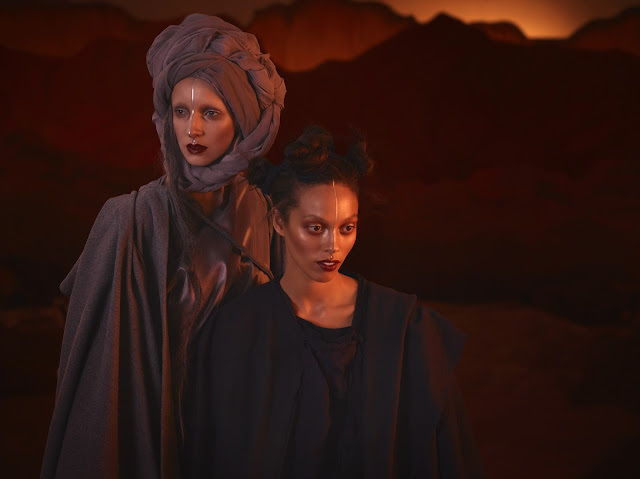 When I first heard about this Earth Collection, I initially thought it's gonna be a collection full of browns. 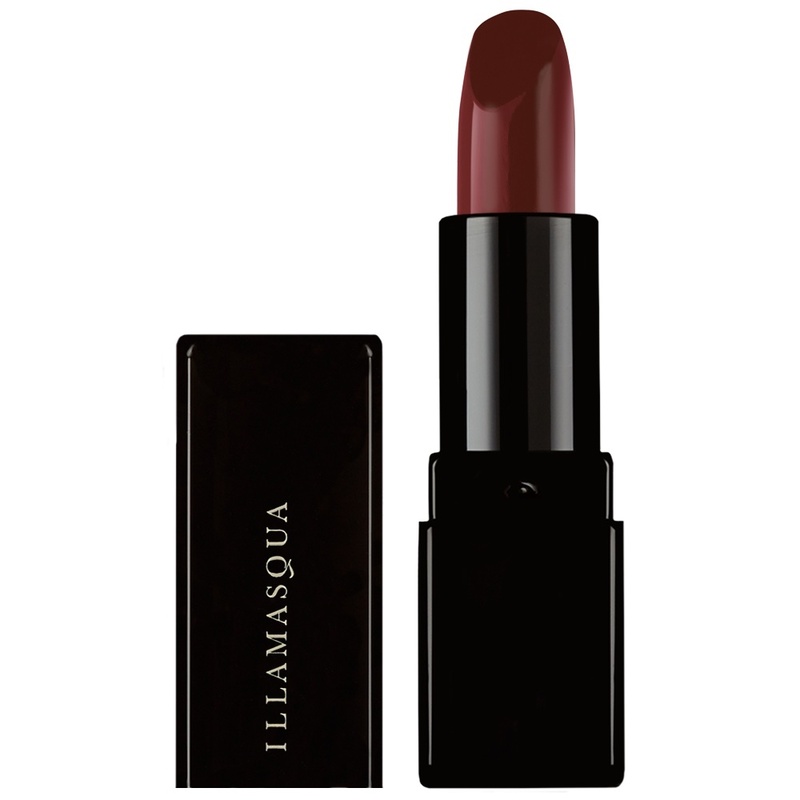 But after seeing photos online, I was amazed at how this new launches from Illamasqua have managed to be wearable, exciting (yep, definitely not boring) and well, without any shade of browns in sight. Let's get to know the entire collection one by one, shall we? These two limited edition loose pigments are finely milled but provides an intense colour payoff with a shimmery metallic finish. These can be applied on its own (wet or dry, but I'd suggest you apply them wet for a more intense finish plus less fallouts) or can be layered on top of any matte shadows to make it look more stunning. Ara is a soft pewter shade with a beautiful metallic sheen while Draco is a greenish gold shade with a subtle glisten. This slick stick is a highly pigmented, retractable eye crayon in a deep silver shade. It's water-resistant making it ideal for high-performance, shimmer eye lining. I wonder if this can be used on the lower lash waterlines as well. Kin is a lovely, warm burnt red lipstick which based on the swatches I've seen online, would be a popular lipcolor since it seems to go with about any skin tone. Element is a gunmetal grey nail colour enriched with the brand's award winning chip-resistant formula. I've seen swatches online and this by far is the only metallic nail polish I've seen that has no streaky finish! Must. Buy. This. 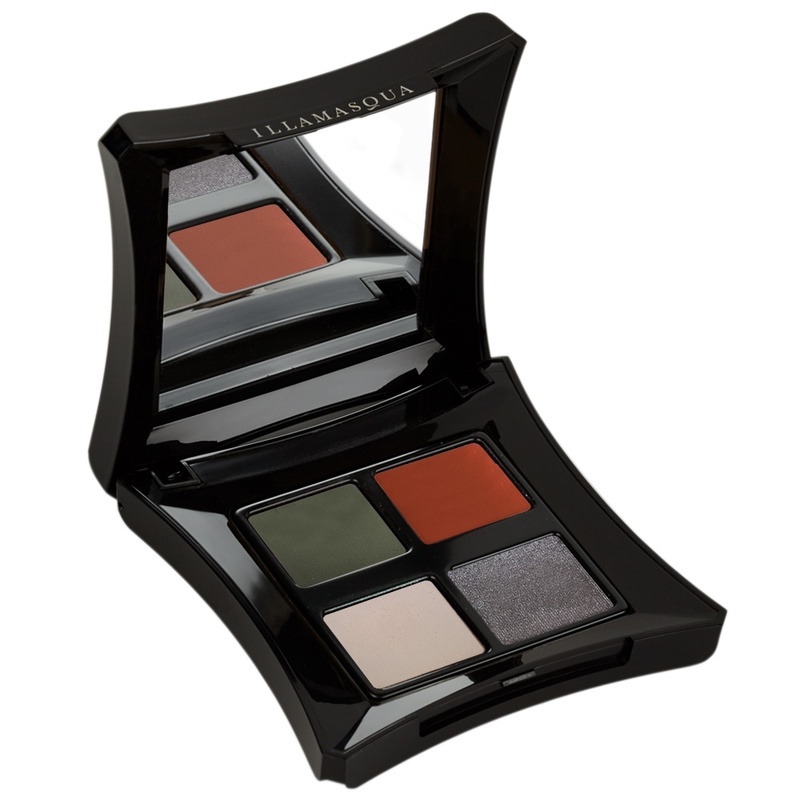 Last but definitely not the least, and of course the cornerstone of this collection is the Nomadic Palette. 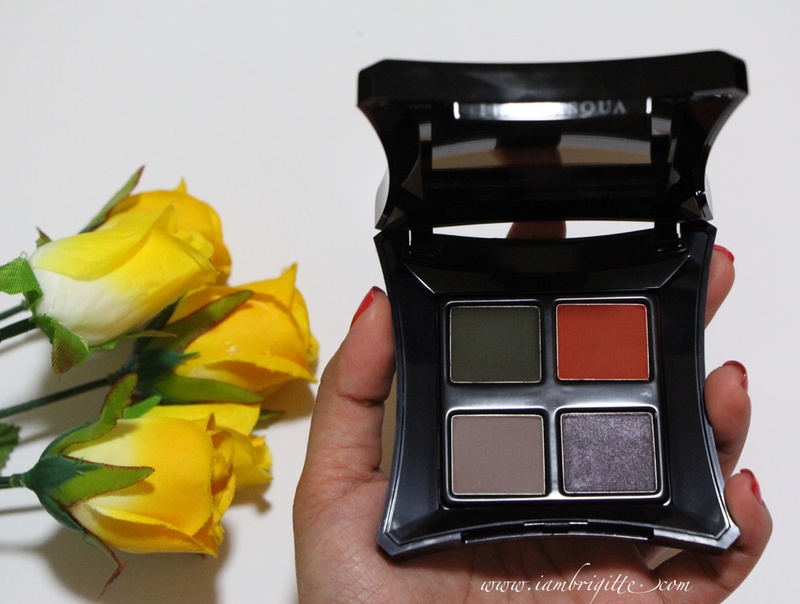 This palette of 4 features both matte and metallic finishes that will allow you to create a variety of earthy eye makeup looks. But look Ma, no browns! 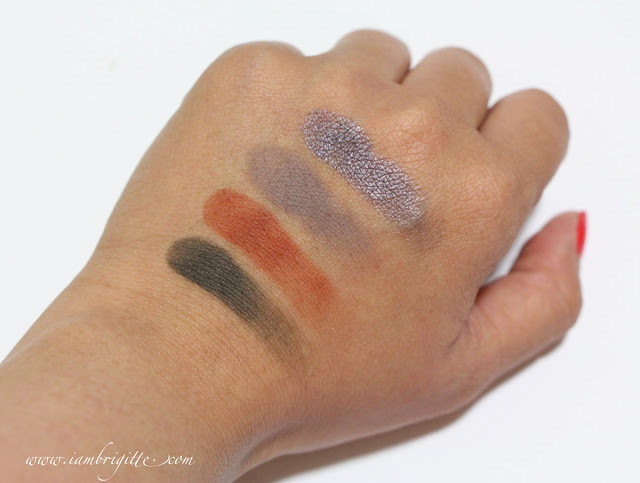 Shades included are: Loam (a deep earth green), Terra (an earth clay red), Solitude (grayish taupe) and Gravity (pewter gray). 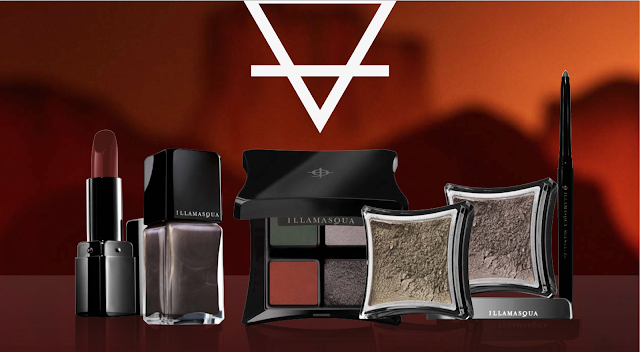 This collection is now available at the Illamasqua store at The Dubai Mall and Mirdiff City Centre. 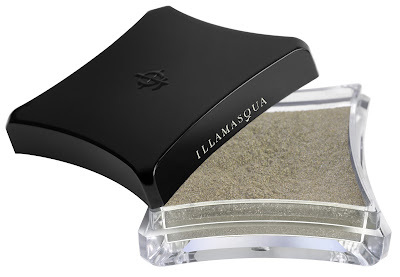 To know more about the brand and the rest of its product offerings, check out www.Illamasqua.com. So tell me, is there anything in this collection that you fancy? I think I'd grab the loose pigments and the nail polish one of these days. I am on a no-buy mode but how can I resist such beauty?